An 18W USB-C charger is... OK for most people, but sometimes you need more juice. The new iPad Pro get great battery life. According to Apple, you can use it up 10 hours of web browsing or video playback on full charge. It comes with an 18W USB-C charger that is… OK for most people, but if you need more juice, we´ve got a list a top 5 chargers you should definitely know. A list of the best USB-C fast chargers for iPad Pro. Third-party USB-C fast chargers, because we don´t think you should spend $50 Apple’s official charger when there are better and cheaper alternatives. With the original Apple´s 18W USB-C charger, you are able to refill 20% of a depleted battery in 30 minutes. Charge the iPad Pro for 3 hours and it gets you up to 95% and another 30 minutes will replenish the whole battery. This sounds good. But what if you can get faster IPad charging experience or you want to charge more devices simultaneously. Then aim for at least 30W fast USB-C charger. Anker is the world´s #1 brand in charging (battery) electronics. They offer a smart mix of premium quality, longevity and reasonable price. The PowerPort II comes with 2 USB ports, one PowerIQ USB-A port and one USB-C port with Power Delivery. 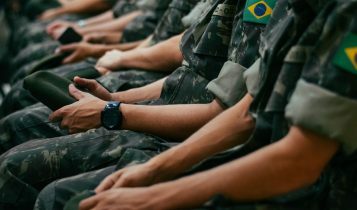 This charge uses PowerIQ 2.0, a technology which detects your devices and adjusts output, providing the fastest possible charge to almost any device. With the total output of 30W through the USB-C port, you can fast charge any newest Apple device. 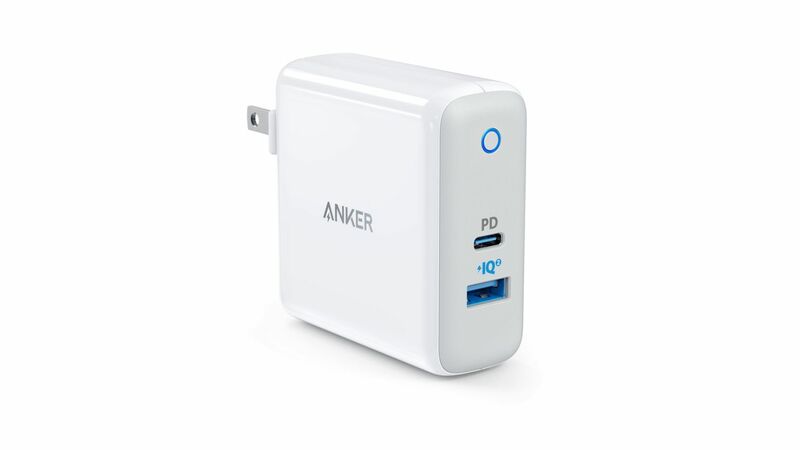 For us, Anker’s PowerPort II is the go-to travel wall charger and the best third-party USB-C charger for iPad Pro, due to its compact size and dual fast-charging USB ports. Small, yet powerful iPad USB-C charger. 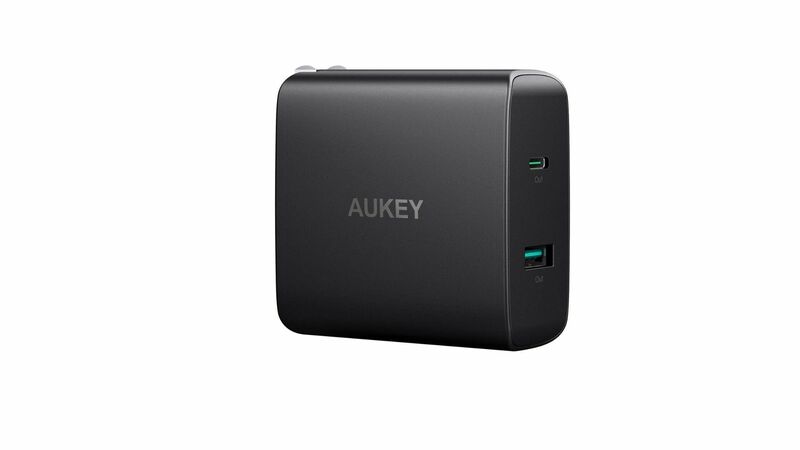 This model by Aukey is a dual-port USB wall charger which provides a total of 56.5W power. You get a 46W of power output through the USB-C 3.0, perfect for charging most of your devices and a 10.5W USB port to power any 5V USB electronic with output up to 2.1A. The Aukey charger supports a wide range of USB-C devices, whether that’s Apple, Android, or even a MacBook or Nintendo Switch and has a built-in safeguard to protect these devices against excessive current, overheating or overcharging. 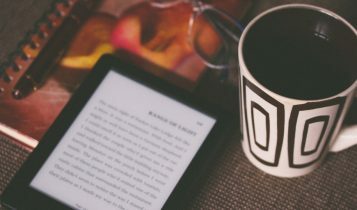 Do you have a USB-C tablet, laptop or phone? 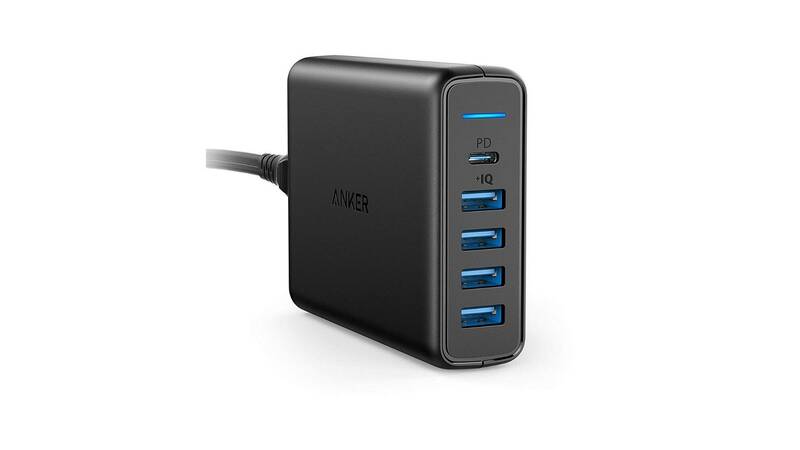 Then with the Anker 60W 5-Port charger, you can simultaneously charge all your gadgets from a single plug socket. This desktop charger is nicely designed, has a smooth casing with rounded corners and a built-in power supply. With a maximum output of 60W, you get a product that is able to support all ports at full speed. And the supreme PowerIQ technology can recognize the type of device you want to charge and delivers the optimum juice for it. 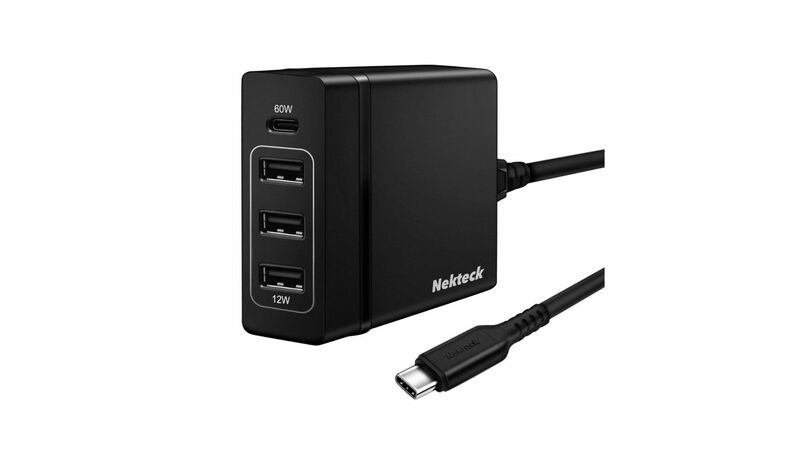 Nekteck is safe, reliable, small, and has four USB-charging ports. It is a less expensive replacement of the official Apple´s charger that works great with new iPad Pro. 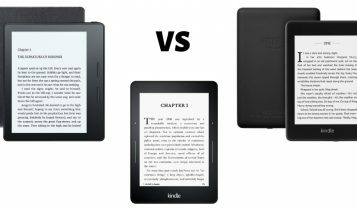 It is almost the same height and thickness as MacBook Pro charger and only about 1 inch longer. The Nekteck 72W comes with three 12-watt USB-A charging ports and one USB-C charging port. A really nice gift from the company is the USB-C charging cable which is included in the box alongside the charger station. 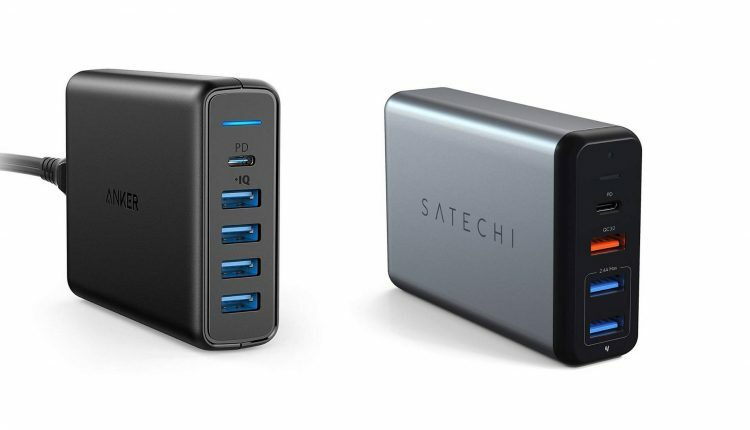 The Satechi Type-C 75W Travel Charger gives you all the juice you need it – for a little higher price. 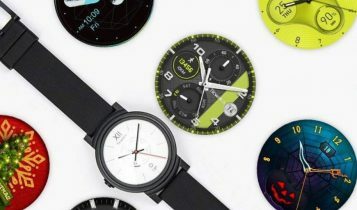 It features a USB-C PD port with a maximal power output of 60W, 2 USB 3.0 ports and a Qualcomm Quick Charge 3.0 port, to quickly charge up to 4 of devices simultaneously. With the compact and portable design, the Satechi 75W charger fits perfectly in a backpack, carry-on luggage or purse. What´s more, the USB-C charger features a broad input range (100-240W), to meet international voltage requirements. 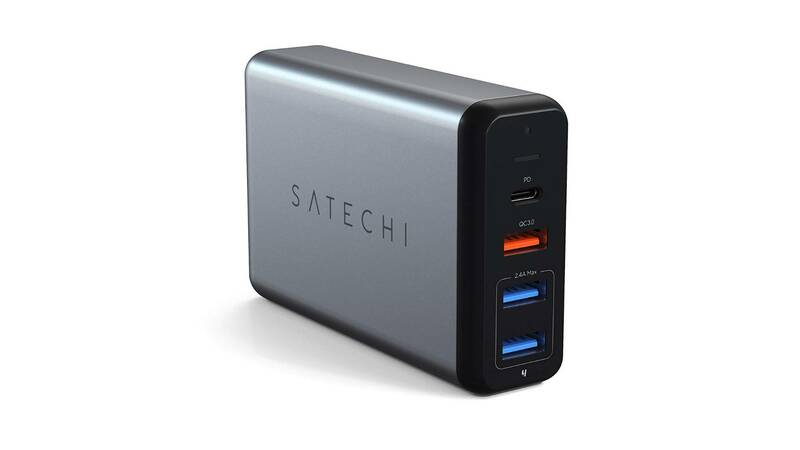 Honestly, Satechi´s 75W charger is not perfect, it is also more expensive than official Apple´s 61W charger, but for someone who is looking to travel light and needs to charge more USB-C powered devices such as a laptop, phone, and accessories like a camera, this model is worth to buying. If you own a device with a USB-C port – MacBook, iPad Pro, iPhone or Android phone – you are going to need some cables. However, when it comes to USB-C, even identical-looking cables may perform differently. To make sure you get the right cable for your needs, we’ve also included the best charging cables on the market.